With the diversity of America’s population constantly changing and growing, it makes sense to make your marketing multicultural. Unfortunately, many bloggers fail to recognize the need for multicultural marketing options, and find themselves unintentionally alienating different demographics. The last thing any blogger wants to do is cut themselves off from interracial web traffic because they are unwelcoming. For example, many sites have begun to pitch solely diverse groups, even creating interracial dating sites. If you are failing to include these growing demographics in your blog marketing, you could be missing out on valuable readership. 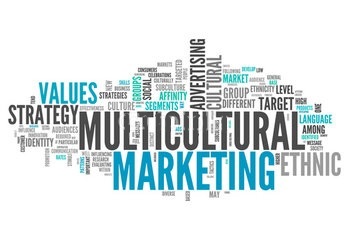 Included here are a few ways to implement multicultural marketing for your blog. The first step to marketing multiculturally is in demonstrating your awareness of diverse individuals. Having close-minded or stereotyping statements in your marketing or blog could close you off from many readership groups. The key to interacting with multiple demographics is being aware of them individually and making relevant appeals. Understand that Americans are just a small portion of the international population and market to cultures around the globe through the internet. If all of your marketing campaigns are geared around American holidays and calendars, you could be missing out on valuable opportunities. For example, Mother’s Day is celebrated on a different date in Latin American countries; additionally, certain American holidays can have a completely different meaning elsewhere in the world. Take time to understand when different people groups celebrate certain holidays and appeal to them on an individual level. This will improve the rapport between your blog and your reader, as well as reach out to new web traffic. Developing a tagline, slogan, or catchphrase can be an important step for your blog. Unfortunately, if it is poorly translated into other languages, it can create disastrous results. When the slogan “got milk” was used in Mexico, it originally translated to “are you lactating?” Clearly, the situation got out of hand and was an infamous example of poor translation techniques. Ensure that whatever slogan you use, and how you translate it, comes across well to the people group you are targeting. Keep in mind, that no matter what marketing approach you choose, one size will never fit all. Tailoring your blog and brand to appear differently in various countries, and emphasize different points, can help you gain web traffic and understanding among readers. No matter how you market within the U.S. you won’t be able to include all diverse people groups. The solution to this is in defining your audience and how each of you could benefit the most from a new marketing tactic.